LeBron James 31 PTS; J.R. Smith 28 PTS; Jeff Teague 27 PTS; Timofey Mozgov 11 REB. A fired up J.R. Smith complemented LeBron James as the Cleveland Cavaliers kicked off the Eastern Conference Finals with a victory on the road in Atlanta. Despite a below-par effort on the stretch scoring from the Hawks, they remained fixed in the fight until the very end—before Smith delivered a daggering three-pointer that was one blow too many for the hosts. Feeding off the energy in Georgia, the Hawks raced ahead to an early lead. With at highest a 9-point margin separating the sides in the first quarter, LeBron James didn't have the impact he was looking for, finding himself on the bench with 3 minutes left after foul concerns. When he returned, though, was when the coin began to flip in favour of the Cavaliersw. LeBron scored 14 points in 12 minutes, going 7-9 from the field and capitalised on the smaller guards trying to lock him down. He may have been the catalyst, but plenty of other things were going right to craft the victory for Cleveland. Governing the paint at ease, it was dominance on the rebounds; and Timofey Mozgov's 11 for the game doesn't even begin to tell the story. Still, the Hawks weren't down, in fact it was still evenly poised by the half-time interval, at 51 points apiece. Even in the depths of the third quarter, that story remained the same. 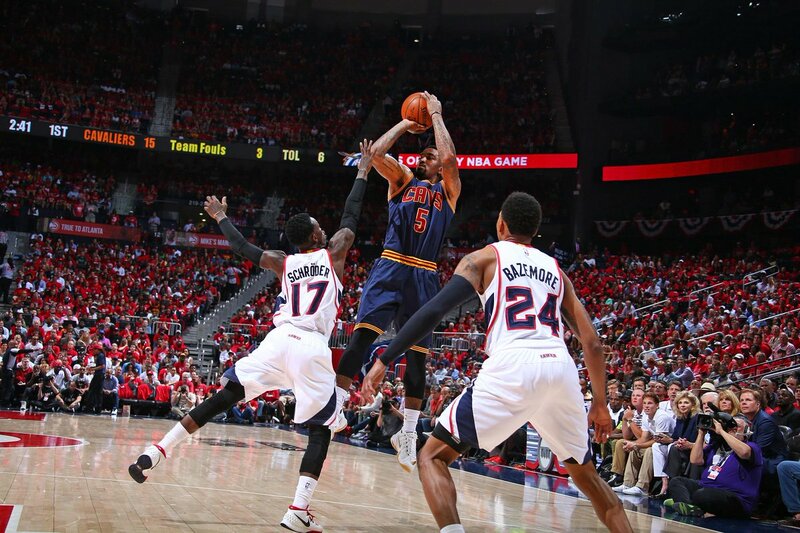 But, when Cleveland got hot, there was no coming back for the Hawks, even though they came close later on. In an explosive 7 minutes bridging between the third and final, a rampant 22-5 scoring run dented spirits for the hosts. Players like Jeff Teague, who scored 27, weren't letting things slip right up to the end. It was that which allowed them to close things up to 91-87 towards the end of the game, even with DeMarre Carroll now out after suffering an injury. Atlanta would only score 2 after, while the Cavs exceeded that to stretch the final scoreline to 97-89, taking a crucial, on-the-road advantage to draw first blood in the Western Conference Finals. DeMarre Carroll's absence is what a lot of this could be pinned on to. Considering he's the lieutenant dedicated to defending LeBron, his absence meant that Atlanta would need a tactical shift, utilising smaller players to guard the "King". When that did work, he had players like J.R. Smith who proved more than capable, and when it didn't, LeBron was the benefactor. 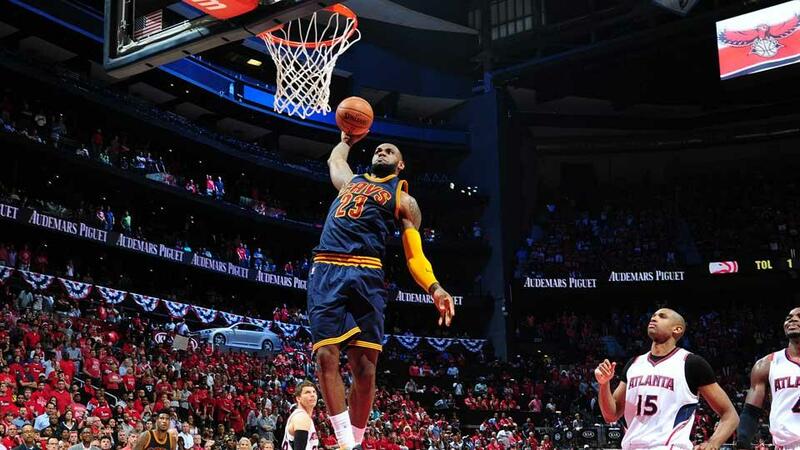 J.R. Smith, LeBron James and Cleveland Cavaliers beat the Atlanta Hawks 97-89.